In light of recent positive feedback, I wanted to do a short series of posts reporting how my apologetics resource, Meet the Skeptic, is being used to equip the Body; the first being as an apologetics group study guide. From personal notifications I’ve received from group leaders, I am aware of Meet The Skeptic being used in churches in five different states as an apologetics group study guide. There may be many more of which I am unaware, but this is extremely encouraging! The groups include the following: apologetics studies open to adults within the particular church at large, a college apologetics study, a high school apologetics study, and even an upper middle school study (I usually don’t recommend Meet The Skeptic for groups under high school age but this one seemed exceptionally informed). Some groups have used the Meet the Skeptic book alone by going through it chapter by chapter. Others have used the workbook as the primary resource. The workbook in particular is designed so that the questions are best answered after kicking the ideas around for a few minutes, not merely filling in the blank with something you’ve just read. And apologetic study groups allow the participants to compare their encounters with each other which helps better equip them for future conversations. Either way, the idea is to equip the average believer to recognize the language of skepticism, the Root Ideas behind the objections, and the questions to ask to dig up those ideas – to be used in a practical way in conversations with non-believers. 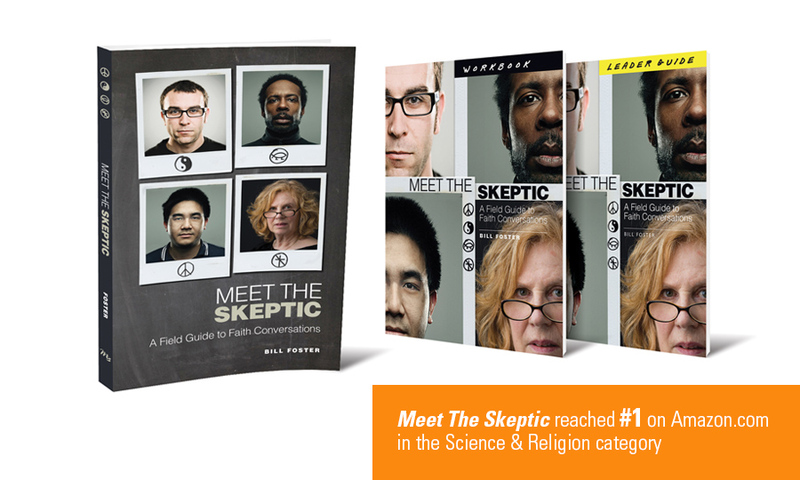 Group leaders have pointed out that Meet the Skeptic, unlike other apologetics resources, recognizes the “cultural climate.” And that’s the point – I did not write it for other apologists; I wrote it for anyone in the pew who wants to reach his unsaved friend without feeling like he needs a philosophy or seminary degree to do so. I’ve even received a message from a gentleman in South Africa who was drawn to Meet The Skeptic after having a well known apologist speak to his college group. It seems that the message was impressive but perhaps not practical or portable enough to use in everyday encounters. Apologetics study groups offered within a church are few and far between. This was confirmed by a recent well known apologetics ministry leader who visited my church and could literally only think of two or three other churches he had visited that offered such a course. The primary goal of Meet the Skeptic is to be a resource that reverses this trend.